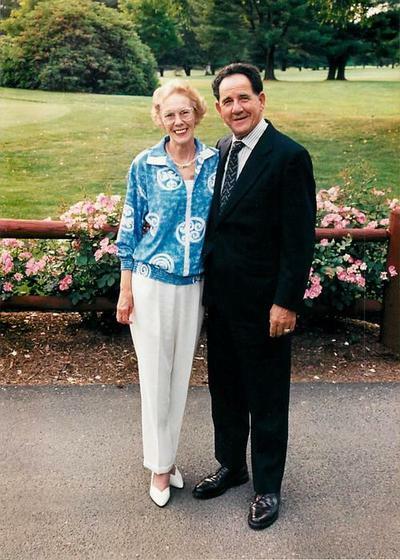 Our founders, Alberta and Ted Faraci. Ted and Alberta Faraci purchased this home on January 1, 1977. At the time it was called a ‘rest home.’ Excited about their new business venture, they came up with the name “Alberta Manor,” named after the new owner and administrator. They did not have any previous experience running a home, but they had something important that would continue to be the foundation of Alberta Manor for its many years to come: concern, compassion, and a desire to create a warm and happy atmosphere that feels like home. And we have been so fortunate to have many wonderful employees who uphold that spirit and truly care for each of our residents. Years passed and times have changed. Kitty and Patti Faraci finished school and joined the family business at Alberta Manor. Our home is now called a ‘residential care home.’ We have many residents that have called Alberta Manor home for many happy years. Although many people have come and gone, including our beloved Mr. and Mrs. Faraci, we all still feel pride to see that Alberta Manor has remained a very special place for everyone who has lived with us: a home.